It is a new house rule. Some people...ughmmm Brad....think I am being a bit harsh, but every house needs rules. Cell phone etiquette is a huge pet peeve of mine. I hate going to restaurants and listening to other people on their cell phones. McDonald's, Burger King....places like that are fine. But, nice, sit-down restaurants are not an okay place to use your cell phone. I like to think of my kitchen as a nice, sit-down restaurant...although, definitely not fancy. 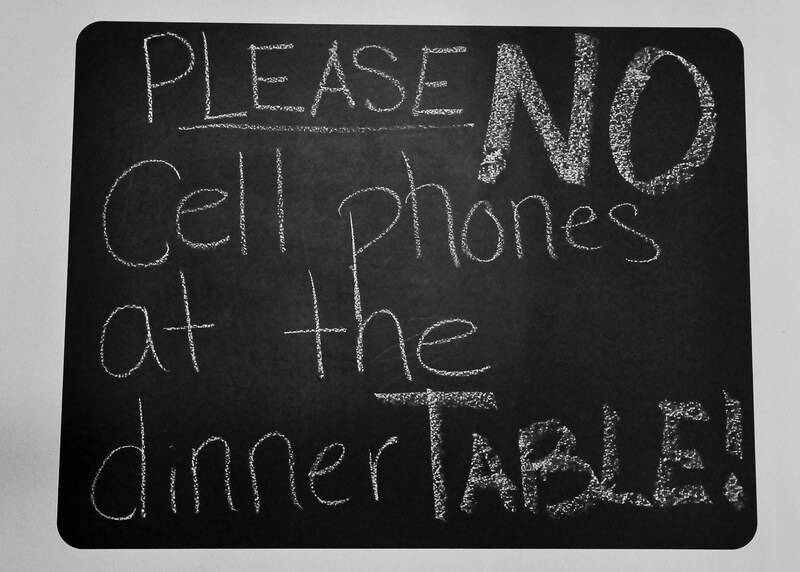 So, if you come to our house to enjoy a meal, please refrain from using your cell phone at the table. 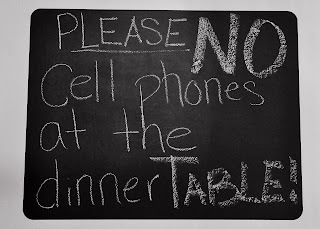 If you must take the call, kindly excuse yourself from the table.